$ummer $uccess: That June jolt from "Wonder Woman's" $100.5 million launch is just what Hollywood handicappers were hoping for after a gloomy May at the boxoffice. It clearly helped that the Warner Bros., DC Entertainment and Dune Entertainment PG-13 rated 3D fantasy action adventure is Certified Fresh with a 93% score on Rotten Tomatoes. Insiders have been speculating lately that really rotten RT scores worked against May releases like "Baywatch" (20%), "Pirates of the Caribbean: Dead Men Tell No Tales" (29%), "King Arthur: Legend of the Sword" (28%), "Snatched" (36%), "Everything, Everything" (46%) and "Diary of a Wimpy Kid: The Long Haul" (18%). Moviegoers, who mostly don't bother to read newspaper or magazine reviews, get everything they need from RT's aggregate critics' scores. Critics have been disappearing as media outlets cut costs, and the surviving critics tend to hate most of what they see other than during the Awards Season. So there are plenty of low RT scores on display and they've become a deciding factor in how people choose the movies they're willing to spend $100 or more to see. Figure that $100 equals two admissions and some overpriced tubs of "buttered" popcorn, candy and soda plus parking or transportation and, maybe, a quick post-movie dinner or snack -- and double it for a family of four heading to a 3D movie! Moreover, now that the online movie ticketing service Fandango owns RT and promotes its scores (nothing wrong with that), moviegoers have an ongoing in-your-face reminder of what's rotten or fresh – read, worth it or not -- as they decide what tickets to buy. RT publicists have also started spreading the word about these scores by e-mailing them to key media people every week, making it very easy for boxoffice analysts to include RT scores in their reports. "WW's" RT freshness was certainly helpful, but it was only one of several factors working in the film's favor. 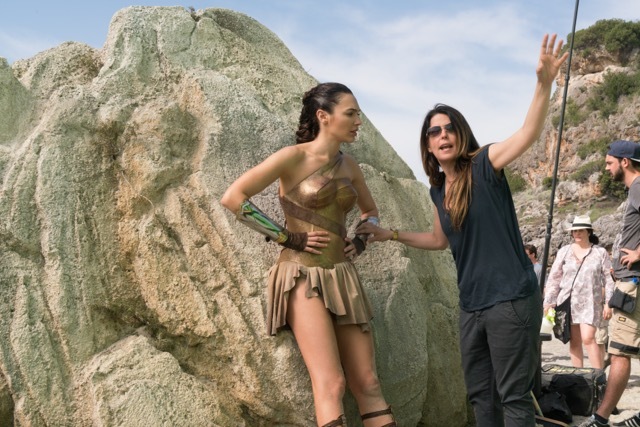 Clearly, the movie directed by Patty Jenkins ("Monster") and starring Gal Gadot, Chris Pine and Robin Wright resonated with critics and moviegoers alike. It's a textbook example of what movie marketers call a "four quadrants film," meaning that it has strong playability to men and women under and over the age of 25 – to everyone, in other words. Although comic book driven titles typically play best to men, "WW" had the advantage of being the first such film to revolve around a super heroine. So women are a natural audience to celebrate a super woman -- and men are a natural audience to look at Gal Gadot playing a super woman. They liked what they saw when they had an early peek at Gadot last summer in her intro role in "Batman v Superman: Dawn of Justice." That all-demographic support was reflected in last weekend's $100.5 million domestic launch and also in the $122.5 million from international theatres in 55 territories. About $38 million of that came from China. The film "makes history with the biggest ever opening weekend for a female director (ahead of the Sam Taylor-Johnson directed 'Fifty Shades of Grey' - $85.2 million) and helps to get a lackluster summer so far heading in the right direction," comScore senior media analyst Paul Dergarabedian said Sunday. "comScore/Screen Engine's PostTrak shows that audiences gave the film 4.5 out of 5 stars and the audience split was 52% female/48% male." IMAX was one of the key elements in "WW's" success. Brett Fellman, IMAX's Vice President, Film Distribution, Americas, said Sunday that the film "scored big in IMAX this weekend, generating $18.3 million in worldwide box office. "This is the third biggest IMAX global opening for a D.C. Comics film (behind 'The Dark Knight Rises' $23.8 million and ahead of 'Suicide Squad's' $17.8 million). The film (opened) on 1,008 IMAX screens globally. Six IMAX territories have yet to release, including Japan." In North America, Fellman added, "'Wonder Woman' dominated with $9 million on 343 IMAX screens. This makes it the fifth biggest D.C. opening domestically (behind 'Suicide Squad's' $10.6 million and ahead of 'The Dark Knight's' $6.3 million). Twelve of the Top 20 'Wonder Woman' runs were IMAX locations. "Internationally, 'Wonder Woman' delivered $9.3 million on 665 IMAX screens, including $4.5 million from 401 screens in China where IMAX generated a significant portion of the film's overall result in the market. 'Wonder Woman' is the second biggest D.C. opening overseas for IMAX (behind 'Batman V. Superman’s' $16.7 million and ahead of 'Suicide Squad's' $7.2 million). With "WW" off and running so well, Warner Bros. now has a new DC Extended Universe franchise to market for years to come. It can't happen soon enough, of course, but unfortunately movie sequels don't move at lightning speed the way superheroes do. Although "WW 2" can't materialize over night, moviegoers will still get a new chance to see Gadot playing WW this fall thanks to "Justice League." This DC Extended Universe title is the same sort of superhero team-up that Marvel and Disney have already had blockbuster success with via their "Avengers" franchise. The 3D and IMAX sci-fi fantasy action adventure from Warner Bros., DC Entertainment and Dune Entertainment opens Nov. 17. Directed by Zack Snyder ("Batman v Superman: Dawn of Justice," "Man of Steel"), it stars Ben Affleck as Batman, Gal Gadot as WW, Jason Momoa as Aquaman, Henry Cavill as Superman, Amy Adams as Lois Lane, Ezra Miller as The Flash and Ray Fisher as Cyborg. 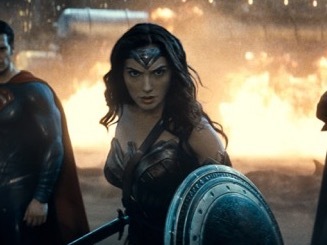 In "JL," Bruce Wayne (Affleck) enlists Diana Prince's (Gadot) help to take on a formidable new enemy. Batman and Wonder Woman team up and recruit a meta-humans squad to combat the new threat. But it may already be too late for this new league of superheroes to save Earth from an assault of catastrophic proportions. "JL" went through a lengthy period of development. In 2007 Jason Reitman reportedly was the studio's choice to direct. But Reitman ("Juno," "Up in the Air") decided against shifting from indie filmmaking to making mega-budget superhero epics. In late 2007, another version of the project was to have been directed by George Miller ("Mad Max" franchise) with a cast including: D.J. Cotrona as Superman/Clark Kent, Armie Hammer as Batman/Bruce Wayne, model Megan Gale as Wonder Woman/Diana Prince, the rapper Common as Green Lantern/John Stewart, Adam Brody as The Flash/Barry Allen, Santiago Cabrera as Aquaman/ Arthur Curry and Hugh Keays-Byrne as the Martian Manhunter/J'onn J'onzz. Warner put "JL" on hold in January 2008 and let its options on those actors expire. The studio wanted to do more work on the screenplay, but that wasn't possible due to the strike at the time by the Writers Guild of America. Problems continued to plague the project even after it finally was shot. In May 2017 director Zack Snyder left "JL," following his daughter's tragic death two months earlier. Joss Whedon ("The Avengers" franchise) came on board with the film in post-production and needing some re-shoots and additional scenes to be written and shot. Warner said there would not be any obvious changes in style between what Snyder had already done and what Whedon would add. As a result, Warner and DC's "JL" will be unique in that it also includes some prime Marvel directing blood. Whedon, by the way, was involved back in 2005 with writing a version of "WW" that would have been produced by Joel Silver ("The Matrix" franchise, the "Lethal Weapon" franchise), but didn't get into production. The next super heroine driven epic will be the 21st film in the Marvel Cinematic Universe -- the 3D and IMAX sci-fi action adventure "Captain Marvel." But it won't hit the multiplexes until Mar. 8, 2019. Directed by Anna Boden & Ryan Fleck, who previously collaborated on the 2015 dramedy "Mississippi Grind," it stars Brie Larson as Captain Marvel/Carol Danvers. Larson won the 2016 best actress Oscar for the low budget indie drama "Room." Like "WW," "Captain Marvel" is the origin story of its super heroine title character. Larson plays air force pilot Carol Danvers, whose DNA is mixed with alien DNA in an accident. Danvers' brand new super powers of strength, energy and flight turn her into Captain Marvel. Over the years, Marvel Comics have presented the adventures of eight different Captain Marvels, including some males and some females. Just to keep things confusing, Captain Marvel is also the name of a legendary male superhero comic book character who first appeared in February 1940 in Fawcett Publications' then new Whiz Comics. This Captain Marvel was a young newsboy – that's how newspapers were sold at the time -- called Billy Batson, who instantly turned into his CM super-self by uttering the word SHAZAM -- which stood for: the wisdom of Solomon, the strength of Hercules, the stamina of Atlas, the power of Zeus, the courage of Achilles and the speed of Mercury. Fawcett stopped publishing Captain Marvel comics in 1953 after DC Comics began a copyright infringement suit claiming CM was really a version of its Superman character, which DC began publishing in its Action Comics series in June 1938. "DC," by the way, originally stood for Detective Comics, the comic book series that presented Batman's sidekick character Robin, the Boy Wonder, for the first time. Batman, however, first surfaced in the spring 1940 issue No. 1 of a brand new comic book line called "Batman" with a small circular front cover logo that said "A DC Publication." In 1972, DC licensed Fawcett's Marvel Family of characters and began publishing those comics again. DC later integrated CM and the Marvel Family into the DC Universe. There were subsequent trademark issues involving the CM character that rival Marvel Comics had owned since 1967. As a result, DC changed its character's comic book title to "Shazam!" That left people thinking that this was the character's name. In 2011, when DC re-launched its comic book line, it officially changed CM's name to Shazam. Shazam's been seen over the years in two Filmation produced television series – a live action one from 1974-76 and an animated one in 1981. A new live action "Shazam" theatrical feature is to hit theatres via Warner Bros. in 2019 as part of its DC Extended Universe. The film will reportedly star Dwayne Johnson as the villain Black Adam. Bottom line: Last weekend's domestic ticket sales were about $181.5 million, per comScore, up about 34.7 percent vs. $134.8 million a year earlier when "Teenage Mutant Ninja Turtles: Out of the Shadows" opened to $35.3 million. Also adding to last weekend's strength was 20th Century Fox and DreamWorks Animation's $23.5 million second place opening of its PG rated 3D animated action comedy "Captain Underpants: The First Epic Movie." The 2017 boxoffice to date is $4.759 billion, according to comScore, up 2.8 percent vs. $4.629 billion this time last year. That's a nice improvement over the previous week when 2017 was ahead by just 1.9 percent and the week before that when it was up 2.5 percent, per comScore. This weekend will see Universal and the Sean Daniel Company's PG-13 rated 3D reboot of the fantasy action adventure franchise "The Mummy," opening at about 4,000 theatres. It will be playing on IMAX screens in 63 territories worldwide, including North America and China. Directed by Alex Kurtzman ("People Like Us"), it stars Tom Cruise, a new addition to the franchise, Sofia Boutella and Annabelle Wallis. This is the fifth in the modern day "Mummy" series, whose four titles thus far have grossed $550.9 million domestically. The last episode, "The Mummy: Tomb of the Dragon Emperor," opened Aug. 1, 2008 to $40.5 million. It did $102.5 million domestically and $298.6 million internationally.